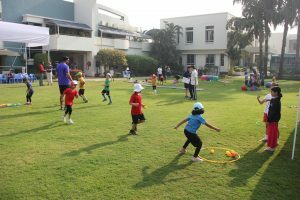 Last week saw the Preschool and PYP Sports Days. Again this year the MYP 4 students, as part of their MYP assessment were tasked with organising , many of the activities for the younger students. They are required to design, plan and evaluate different activities. 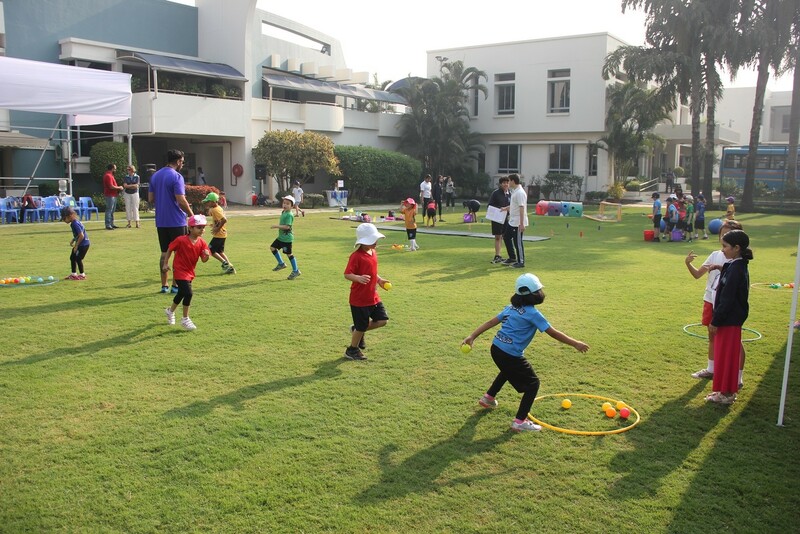 On Thursday we started with the PS 1 – PYP 1 students. All students were excited about the activities. 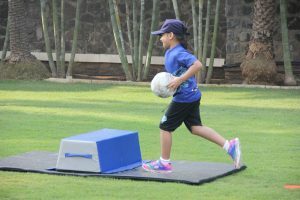 They have been practising their running, jumping and hopping skills in class and came prepared with their listening ears and running feet. After arriving on the field, the next two hours were filled with activity and smiles as the students made their way around six different stations. The following day the PYP 2 -5 students participated in their Sports Day. 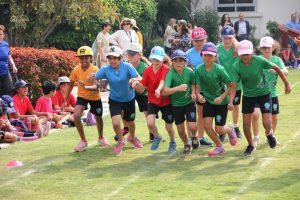 Not only did they have the activity stations organised by the older students but they also took part in the Miracle Mile and relays. 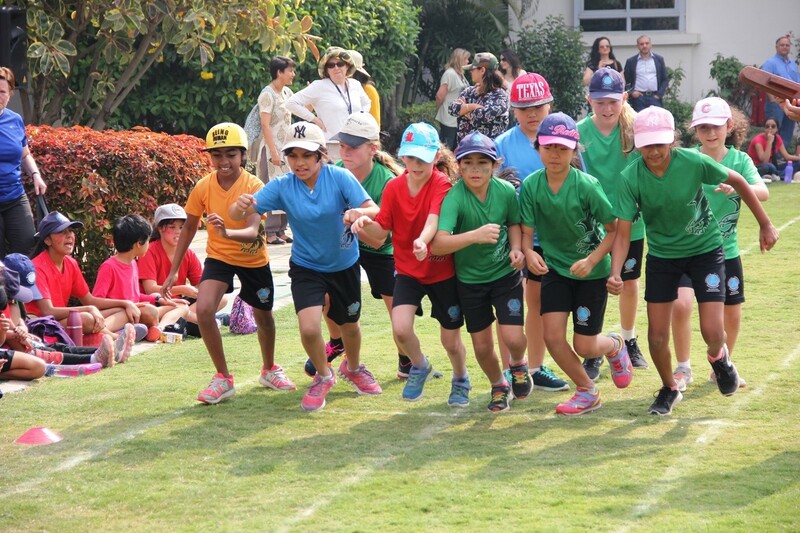 Their morning finished with an event that included participation from parents, students and teachers, laps were walked around the field and points collected for the House Teams. This year in the 15 minutes allocated, over 2100 laps were completed. This equates to 315 km that was covered by everyone in total. An amazing effort! Well done! Students were selected for the Miracle Mile based on performances in class during fitness testing. Congratulations to all participants. At the end of the rotation session scores were close between all 4 houses, as students fought to score every point. 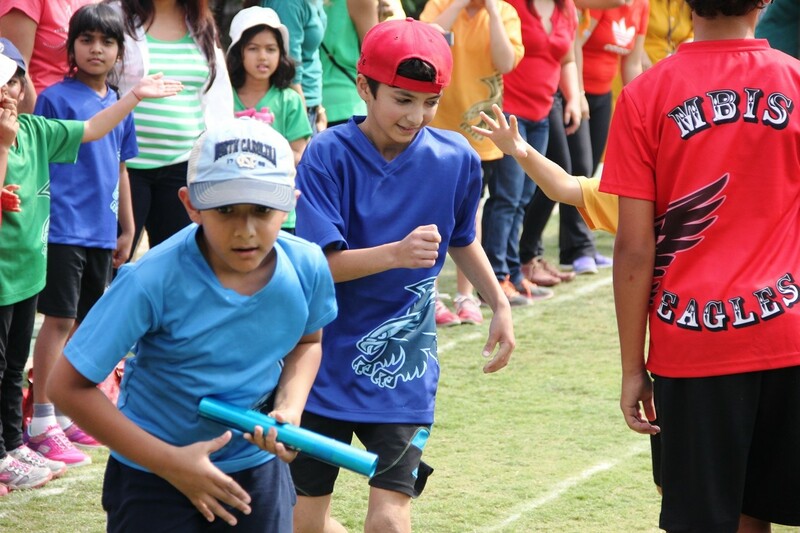 The relay events were closely contested by students who had not participated in the mile run. This allowed every student participation outside the rotation activities. Vayu (yellow house) came away the winner in 2 of the 4 races and started to narrow the gap on the house leaders. At the end of the day it was a close competition. The lead had changed multiple times and it came down to points from the participation event to determine the overall winning team. 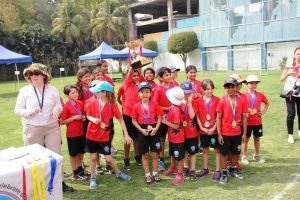 Congratulations to all participants on both days and thank you to all parents for your support, whether that be wearing house colors, walking with your child in the participation event or cheering from the sidelines. Our next ISACI tournament is the Middle School Sports Festival being hosted here at MBIS. This event is Friday 3rd and Saturday 4th February. Our MYP 1,2 and 3 students will compete in both basketball and soccer over the 2 days. Please come along and support our Eagles. Our senior Boys Cricket and Girls Volleyball are well into their seasons and are preparing for their upcoming tournament in Delhi in early March. Starting Monday 13th February ISACI Swimming will begin. This is open to PYP 5 to DP 2 students. Practices will be 3 times a week with final days confirmed soon. Please watch this space for days. Swimmers will be expected at all sessions as they prepare to head to Bangalore in April. Swimming will be recommencing for all grades the week of 27th Feb. Please add this to your calendars. More information will go home to students in class (MYP) or via homeroom teachers (PS and PYP).